Cooking with cast iron has many benefits. Due to its nature, the heat is dispersed evenly, helping cook food more evenly. Cast iron also releases iron into the food in small amounts, which is very healthy for a balanced diet. On top of these great benefits, there are other benefits too. When seasoned properly, cast iron has a natural non-stick property so that your food will not stick to the pan. Another great feature is that it is very easy to clean and does not require the use of soap or detergent. The pans can be easily cleaned by running hot water and using a soft brush lightly to scrape off any remaining food material. Occasionally some food will stick, but this can removed by boiling water for a few minutes and then scrubbing lightly with a scrub brush. 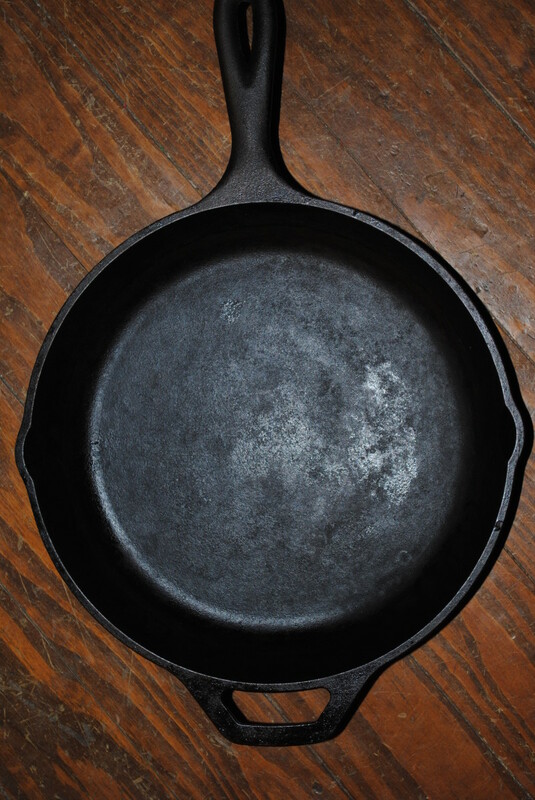 NOTE: Never use dish soap or scrub with abrasives such as steel wool or copper scouring pads on a seasoned cast iron pan. This will surely ruin the finish! Cast iron comes in many shapes and sizes. (Look at the chart further down this article to see a variety of different pans, sizes and styles, and average price.) It will last over a hundred years if it is properly taken care of. 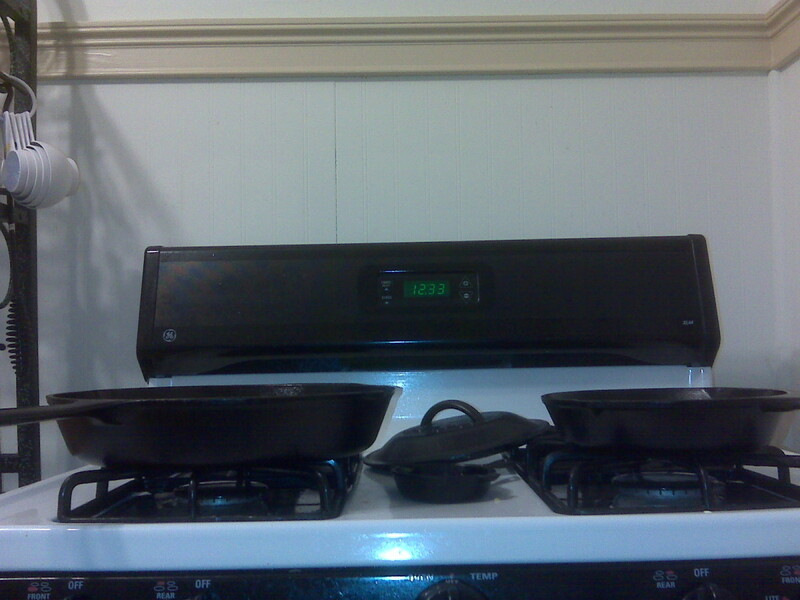 I personally buy from Lodge Cast Iron Cookware, an American manufacturing company. If you keep your cast iron pans clean, well-seasoned, and stored in low humidity, you will be able to pass these down as an heirloom to your great-grandchildren! NOTE: Do not use acidic foods in your cast iron pans as it may eat the finish you worked so hard to create! Avoid foods like tomatoes, tomato sauce, certain beans, and any other food that has a high level of acid! Do You Use Cast Iron Cookware When Cooking? Sometimes. It depends on what I am cooking. I have some old cast iron pans that are rusted but I would love to clean them and use them! No. I don't own cast iron cookware. If you want your cast iron to live forever, then the first step is to season the pan properly. Proper seasoning creates a seal in the metal which will keep out rust and eventually lead to a "patina" finish which prevents food from sticking. The seasoning process occurs when oil is baked into the pores of the pan, sealing the pan from rust and creating a non-stick surface. Seasoning should be done when you first purchase the pan and it is recommended that you re-season a pan every six months unless you use the pan on a regular basis and the pan is working fine. 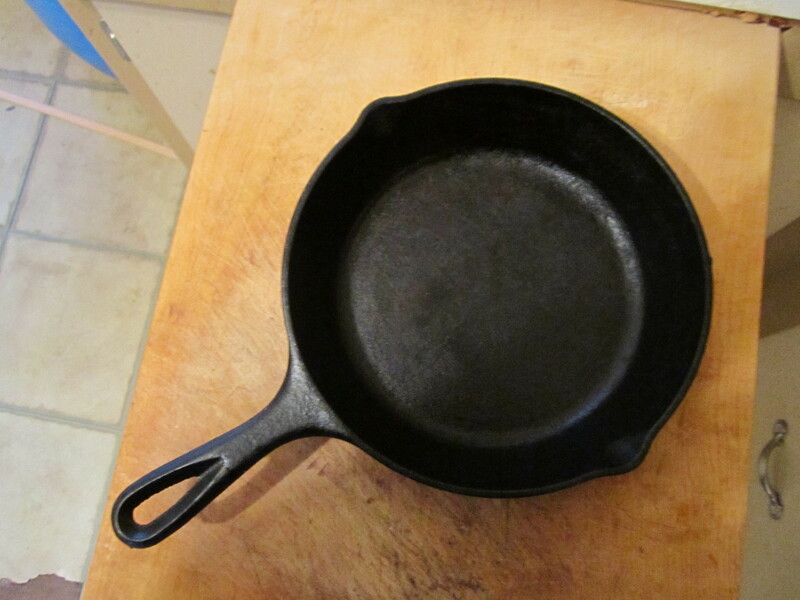 These days, cast iron can be purchased directly from the manufacturer pre-seasoned. This is great if you don't want to deal with the seasoning process. If you purchase a "raw (unseasoned) pan, it will be grayish in color and will need to be washed to remove the wax seal applied by the manufacturer to prevent rusting during warehouse storage and shipping. Let's look at how to properly season before using. 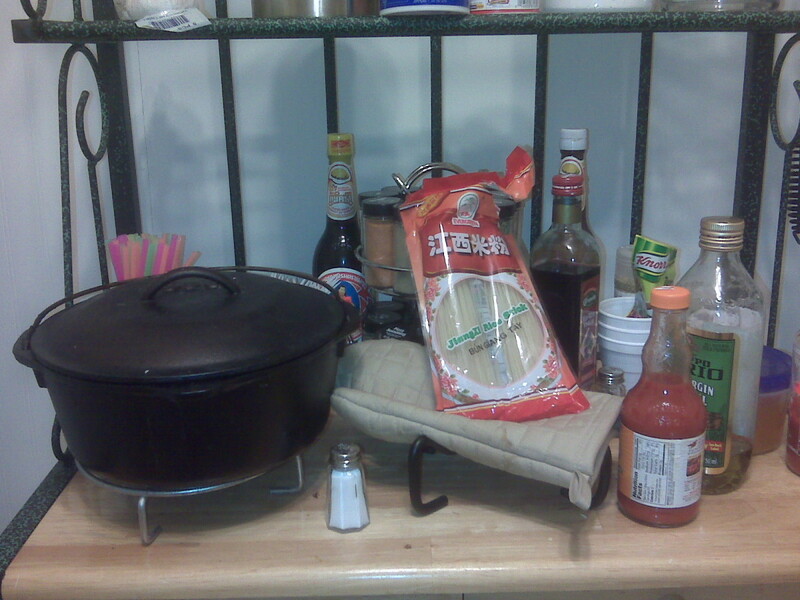 A well-ventilated area—As the fat burns off the pan, smoke can be emitted. This is normal, just open the window. Bonus Tip for "Natural Food Folks"! It was brought to the author's attention that some people who enjoy using natural foods do not use vegetable shortening. In a comment below, SidKemp suggested that using any high temperature flavorless oil such as coconut oil will work great instead. Do not preheat the oven! The process requires the cast iron to expand with the heat, absorb the shortening, and create the seal as the pan cools down and goes back to original size. Put aluminum foil or a drip pan on the bottom shelf of your oven to catch drippings. Put a bit of shortening in the pan and heat it for less than a minute on the stove top to melt the shortening. 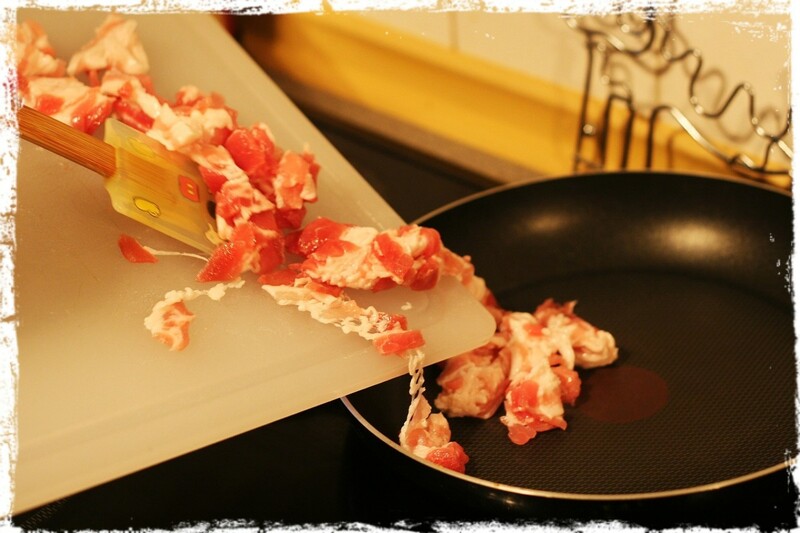 Once shortening is melted, spread it all over all surfaces of the pan including the handle and backside. You may want to use a paper towel to aid with spreading. Once the pan is 100% covered in a decent (not too thin but not too thick) shiny coat, put the pan on the top rack of the oven, upside down. Close the oven door and set the oven to 350°F. Set a timer for at least an hour and let it be! Once the timer goes off after an hour, turn off the oven but don't open the door! Allow the pan to cool down for a few hours before removing. Taking the pan out too early may cause the pan to become seasoned improperly. That's it! Now you are ready to start enjoying a lifetime of use with these wonderful kitchen tools that will provide for your family for many years to come! The very nature of cast iron makes the metal susceptible to rust. If a pan is left unseasoned, it will rust within a matter of hours or days. Storing it properly is very important. A dry environment is the best place. You will want to oil your pans before you store them, which will add an extra level of protection against rust. If you are storing it for extended amounts of time, it is recommended to add a layer of either cooking oil or cooking spray to the entire surface. This will create an additional level of protection against water and rust. Never store a pan with a cover tightly on it. You should take a few paper towels and put them inside to absorb any moisture. Proper storage will lead to long life for your collection! 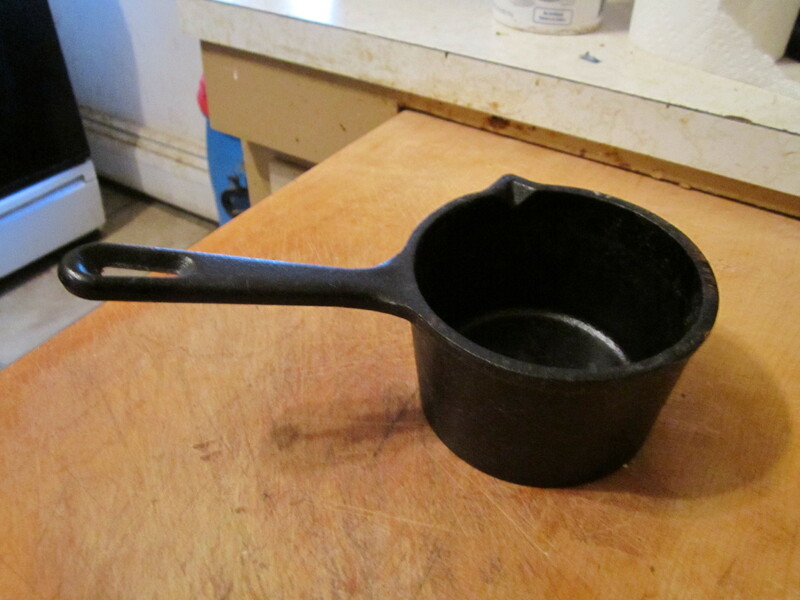 OK, maybe you found an old set of rusty cookware while you were cleaning out your grandmother's basement. Or maybe you found some real cheap at a yard sale. What can you do to bring these pans back to life? Not to worry! The pans can be restored to a brand new condition! If there is mild rust, you can just use a piece of steel wool and scrub under hot water until all the rust is gone. 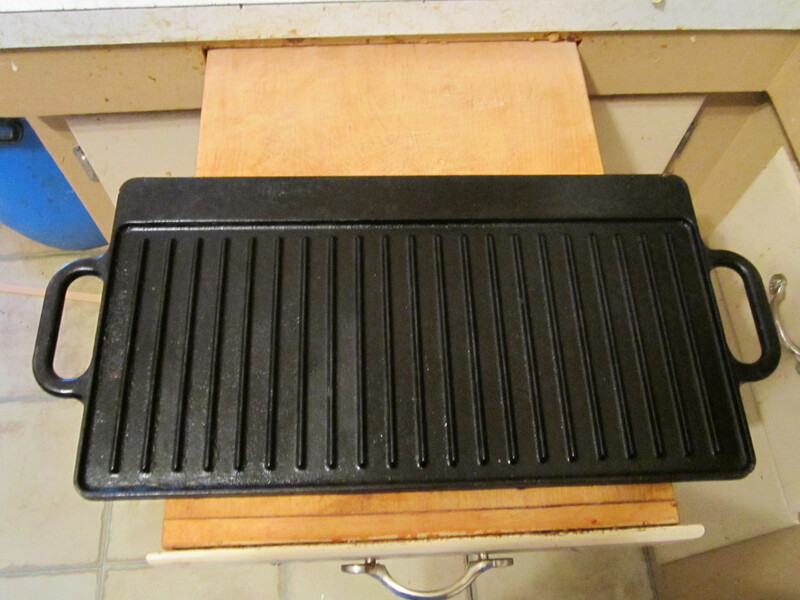 If there is extreme rust all over the pan, you will need to sand down the rusty surfaces using sandpaper. Start with a heavy grit and work your way down to a fine grit once most of the rust is sanded off. Once all the rust is removed, wash the pan thoroughly with warm water and soap to remove any metal rust and dust particles. Immediately dry the pan thoroughly! 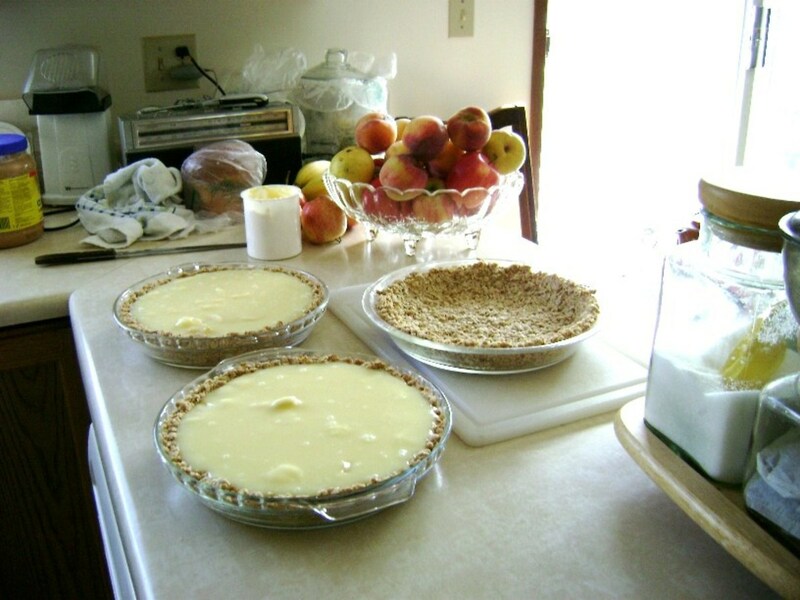 The best way to do this is to put the pan in the oven for a few minutes at 100 degrees until it is dry. Season as you would a brand new pan as described above. After you are finished seasoning, your pan should be just like new! This kind of cookware is very versatile as it can be used on a stove top, in the oven, or over an open fire. It has been used for centuries and many people still have cast iron pans that were passed down from generation to generation. If you enjoy using it and all the benefits that come along with it, make sure that you take proper care as noted in this article. It has no real "expiration date" and if you take proper care of it, you will enjoy it for many years to come and you can leave your heirs a priceless commodity! Hello RachelMiller! Great question. If you are storing your pans for extended periods of time you should season them before storing them. Moisture (water) is cast iron's enemy. If it is possible, seal them in an air-tight container and put in some paper towels or something similar to absorb any possible moisture. Since you mentioned that your storage area was climate controlled you shouldn't have any problems as long as there is no moisture. Silica packs might work fine but paper towels are probably cheaper. In short, make sure your pans are well seasoned before storing them and make sure that they are in a dry environment. You shouldn't have any problems if the pans are sealed and kept dry. Hope this helps answer your question! Thanks for stopping by my Hub! I'm moving and all of my cookware is going into a climate controlled storage unit. I'm concerned for my cast iron skillet and Dutch oven. Any tips on how they can be safely stored for 3-4 years? Anything I should do to prep them for this? What should I pack them in? Will silica packs be helpful? Hello MarleneB! I'm so glad that you found this Hub article before you threw away your precious pan! Cast Iron pans are thick, rugged and heavy, and no matter what condition they are in, they can always be restored. I hope that you will be able to use the information in this Hub to restore your pan as if it was brand-new! I am also glad that you enjoyed the video. Thank you very much for stopping by! I was just about to throw out my cast iron skillet because it had rusted. I didn't think I could restore it. But, I'm glad I came across your hub showing how to restore cast iron skillets. Now, I can keep my old skillet and this time I will take better care of it. Thank you for your helpful information. The videos were excellent accompaniments. Thank you Happyboomernurse! 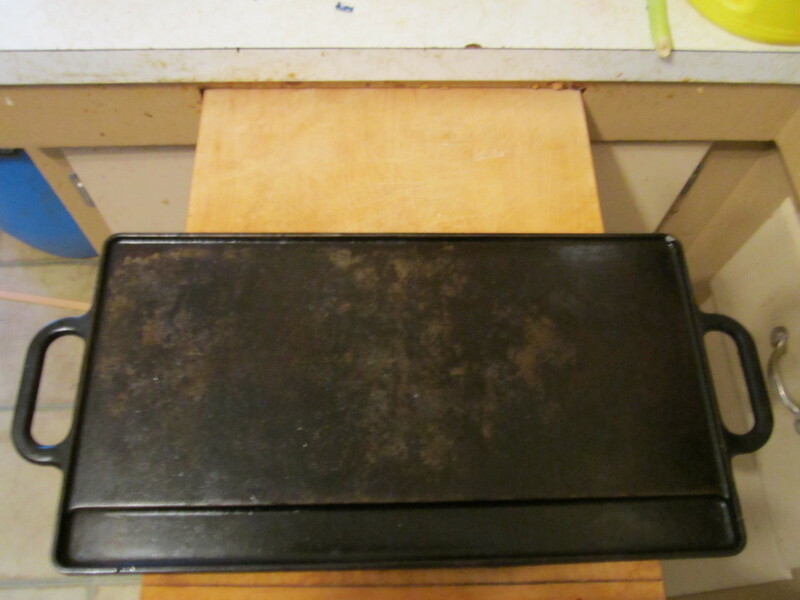 I have the wedge pan too (6th picture in the photo gallery) and I love to bake cornbread in it because it cooks all the sides evenly and perfect! The funny thing is that I am not really a cornbread fan! I usually make it for other people and I have a niece and nephew that like when I make a spicy cornbread recipe. Thanks for all the votes and for stopping by! Congrats on earning Hub of the Day accolade for this comprehensive and well illustrated article about caring for cast iron cookware. 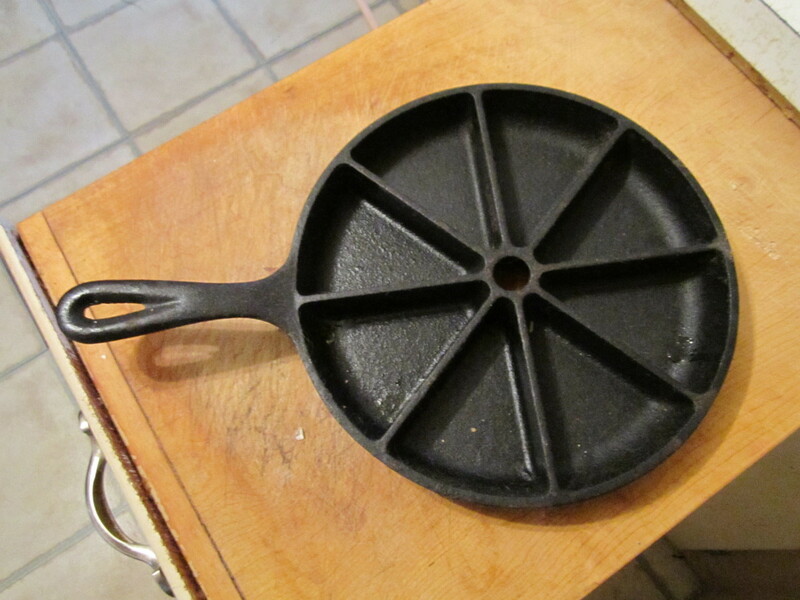 The only cast iron cookware I own is a wedge pan which I received as a gift and use for making cornbread. It does cook evenly and gives the cornbread a nice crisp triangular shaped edge. Voted up across the way except for beautiful. @luvintkandtj: Hello! I have received similar comments like yours about parents and grandparents and great memories of cast iron! I have to say that I am jealous! No one in my family used cast iron and I only found out about it while camping with the Boy Scouts. Yes, some of the common recipes are fattening but remember that our grandparents were most likely much more active than we are! Your comment is making me hungry for some of your grandmother's cooking! I can just imagine being hungry sitting in the other room smelling the food and waiting for it to be ready! Thanks for sharing your experience! I appreciate you stopping by! @Becky Katz: Thank you! I waited 34 months to get the Hub of the Day! From reading other's comments I see that some do use a little soap. The key is to not remove the non-stick surface, so if you wash a little and keep it oiled you should be OK. The great thing I have learned with cast iron pans is that many people have different ways of keeping them in good shape. Even so, some people (my mom is one of them!) will not be happy until the pan is properly sanitized via modern methods (anti-bacterial soap!) As long as your pan stays clean and has a nice non-stick finish, don't change your methods if you are happy with them! Thanks for sharing your experience with these pans! I appreciate your comment! @iefox5: Hello again! If you ever find a cast iron pan, use these steps to restore it and you will be very happy you did! Thanks for stopping by! I appreciate your votes! @homesteadbound: Hi there Cindy homesteadbound! Cast iron is very heavy and can be challenging to use for those who suffer from certain conditions. I appreciate your comment as always! Thank you! @Ardie: Hey Hub Buddy! I was so happy to receive the Hub of the Day because that was on my Bucket List for 2012! Now I can move on to my next goals (like Publishing more Hubs!) As always, thanks for your support Ardimus! @glockr: Awesome! If there is ever a major catastrophe, we will be able to cook for a few hundred years! I don't miss the chemicals or all the little pieces of "non-stick" material that gets into our food as the pans wear out. Thank you for adding to this Hub article! @EdconomicallyMu: I am happy that this was informative for you! Thanks for stopping by! @DzyMsLizzy: Hi there! I am sorry to hear about your bad experience! I suppose, as with anything else, cast iron may not be the best fit for everyone! I enjoy using it myself (an apparently many other do as well based on the comments) but I appreciate your comment and for sharing your personal experience! Thanks for the congrats and for stopping by! Congratulations on your HOTD. 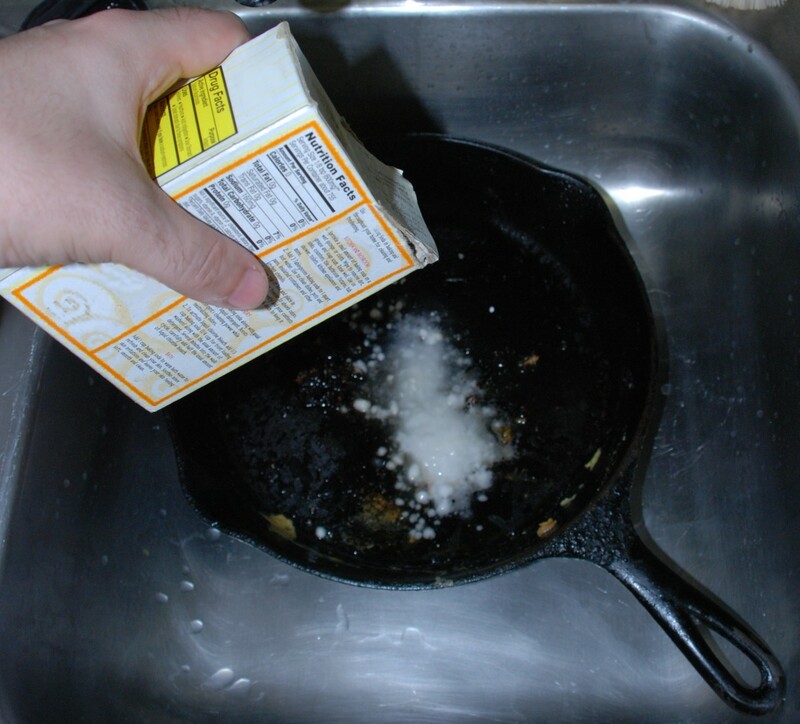 You might suggest that if they use dishsoap on their cast iron, just wipe it with an oil soaked paper towel. That will help keep it from losing the seasoning. I do that all the time because I worry about germs. Helpful tips especially on the rusty old cast iron pan, will follow your great guide if I find an old iron pan in my house. Thanks, voted as useful. What a great hub! I used to use cast iron all the time and I liked using except it is sooooo heavy. It is painful for me to use it much because of fibromyalgia and arthritis. But I used to swear by it! Congratulations on hub of the day! It is well deserved! Congrats on HOTD JS :) I am not surprised in the least bit though. You always put your all into your Hubs. @Thelma Alberts: Thank you! I had no idea I would be featured for the Hub of the Day! Yes, we cast iron owners can be very protective of our pans! We put a lot of work, effort and pride into them, and we just hate to see a pan get treated badly! There is a piece of family history forged into these pans with every meal we cook. I recommend them to anyone who like to cook! Thanks for stopping by! @ComfortB: Hello there! If you use your pan regularly and keep it dry and clean, you may rarely have to re-season it. If you notice that the finish starts to flake or get real thin you may want to season it to prevent rust. Thank you very much for stopping by and sharing your experience! @educationrus: Wow, that is so awesome! What a great heirloom from your grandmother! You are lucky you didn't get a good spanking that day! lol I am happy that this is helpful for you and I hope that you are able to pass your pans on to your grandchildren! They really will last forever if you take care of them properly. Thanks you for sharing your experience! Interesting hub, but I don't have any cast iron cookware. Way back when my kids were little, I used to have a couple of cast iron pieces, but I never liked them. One was supposedly "pre-seasoned," the other was an antique. I found directions for seasoning, which I followed for the antique. They said nothing at all about an oven or the outsides of the pan. The pre-seasoned pan simply did not work. It was about as non-stick as a piece of velcro! 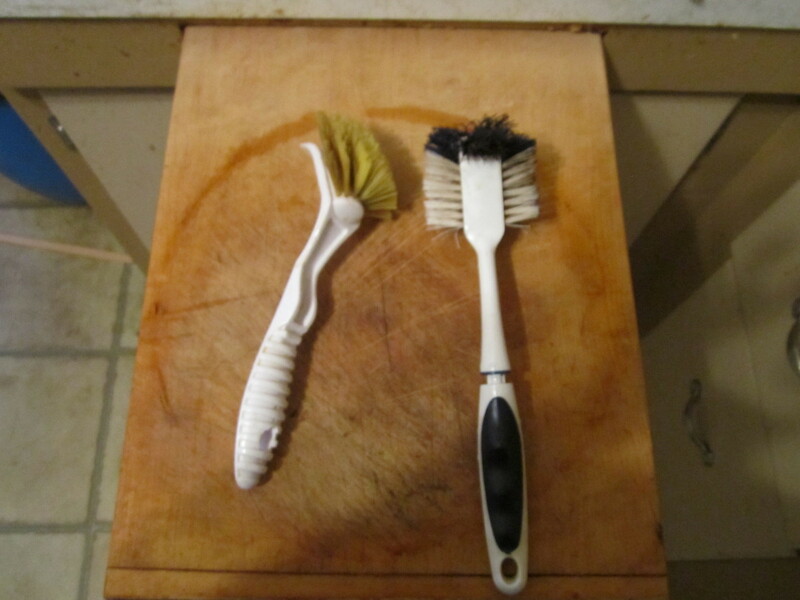 It HAD to be soaped and scrubbed, or risk food poisoning from particles stuck on from prior meals. The antique one was a dutch oven, and I found a recipe for spice cake cooked in a cast iron dutch oven over a campfire. We tried it with our scout troop. The cake did not stick, but it went right in the trash. Never in my life have I tasted anything so vile. It tasted through and through of the metal--it was like licking raw iron. Everyone was casting sideways looks at each other, as if unsure whether to say anything, but in the end, some brave soul did mention the nasty taste, and everyone else followed her to the trash can. @promaine: Yes, the acidity in tomatoes kills the nice finish. I have been told that beans will do the same. No, I don't need the gym anymore. I do some daily curls with my dutch ovens lol. As for the expensive cast iron enamelware, I have no experience (yet). I am too old fashioned! I know that Lodge sells them (at a pretty penny!) but I haven't met anyone that has bought one yet. Now you have piqued my interest! They look nice but I am not sure if I am ready to make the change. I will give it some thought though. Thank you very much for such a funny and great comment! @Lee Tea: You're welcome! They will be very happy to receive a shiny new coat! Thanks for stopping by! @livelonger: Hi! I am happy to help! Please let me know how you make out after you get your pan re-seasoned! Remember to keep it clean, dry and to add a little oil before storing. This will help prevent rust, especially if you live in high-humidity areas. It's always good to get a comment from you Jason! Thanks for stopping by! @Victoria Lynn: Hello Victoria! Yes, you were the first person to comment on this Hub when I published it! Thanks for coming back by! It's nice to see you! @livingpah2004: Thank you very much! I appreciate your comment and vote! @diamond1mo: How ironic! I am happy you took the time to stop by! Thanks for your comment! 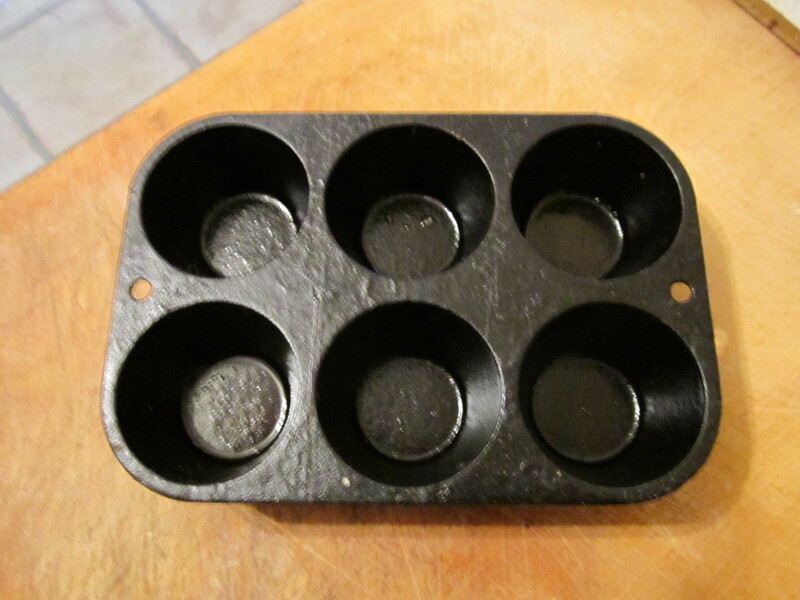 @coffeegginmyrice: I hope that you can use these methods to get your pan in perfect shape. I am like you, I do not like the smell of rust, especially when it is wet! It is very metallic and you can taste it in your food. If you use these methods to restore your pan, please come back and share your experience! I appreciate you stopping by! @Sherry Hewins: Hello! It is so amazing to hear all these wonderful comments from people who have been using the same cookware for many years! Unfortunately, I do not have access to a sandblaster. I am stuck with the old methods for now. I have heard that people who have a sandblaster can charge a small fee to remove rust from the pans. You may have stumbled onto something there...I appreciate you sharing your experience. Thanks for stopping by! @pinto2011: Yes!!! Don't get rid of your old cast iron pans-Restore them! It is easy, fun and you will thank yourself in the long run! I am happy that this Hub helped as an intervention! Besides, you probably wouldn't get much money for them anyway! Thanks for stopping by! @TheRightWord: Sounds like we have the same methods and ideas for cast iron! Re-oiling after each use is something I sometimes forget! I usually just spray a cooking oil on them when I do remember. I find that the better care we take the less maintenance have to do. 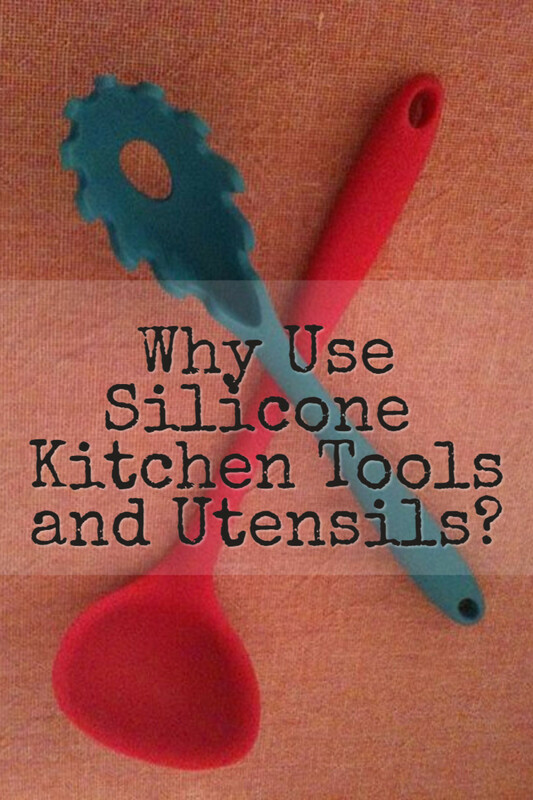 Thanks for your comment and for sharing your experience with these wonderful cooking tools! @Arlene V. Poma: Hi Arlene! 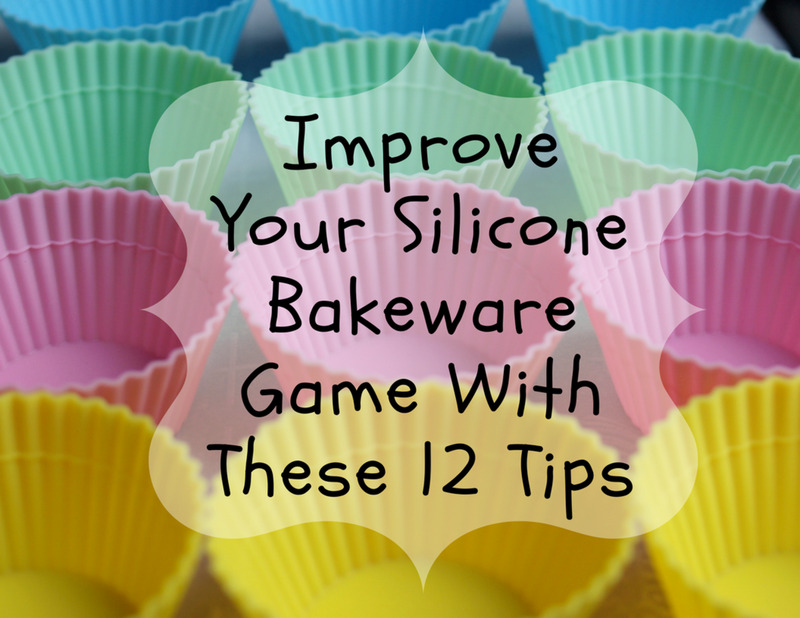 I hope that these methods can help you to get your pans in tip-top shape! It's always good to hear from you! Thanks for stopping by! @Outbound Dan: Hello! My wife is the same way. She doesn't like the weight of the pans nor does she like dealing with getting rid of the used cooking oil as well as cleaning. I usually clean the pans for her. Cast iron cooked dishes have a very distinct flavor that no other material can claim. I appreciate your testimony to these wonderful pans! Thanks for stopping by! You are not the first person that has mentioned using liquid dish soap. In fact when I worked in a restaurant, by law we had to wash them in an industrial dishwasher. They were immediately dried though, and since they were used in the broiler very often, they were fine! Thank you for sharing your personal care and use methods! I appreciate your comment and votes! I hope you find the right covers you are looking for! @tammyswallow: Hi Tammy! Thanks for your support! It's always nice to hear from you! @vespawoolf: Thank you very much! I appreciate you stopping by! @SidKemp: Hi there! Thanks for voting up and useful! I never considered using coconut oil for the seasoning. What a wonderful suggestion! When I get caught up I will add your suggestion to the body of the Hub and I will mention you of course! As for your question, this is a tougher one. Since I have the double-sided griddle that you mentioned I am familiar with your dilemma. If you can do it outside where you don't mind the spill-over, you can try to heat the water to a near boil and scrub gently with a soft brush. This should loosen up the grit. If that doesn't work, you could always put the pan on direct fire (again, outdoors) and try to burn it off. Be careful though, I once left a pan on hot coals overnight while camping and it literally melted off the entire finish! I had to re-season the pan when I got home! I hope this helps and I wonder if anyone else has experienced this issue? I would love to hear other peoples solutions! I appreciate your comment and suggestion. I hope that the solutions I provided are useful and helpful. Thanks for stopping by! @pstraubie48: Hi there! What a wonderful nostalgic moment you have shared. I hope my kids have the same memory associated with cast iron. I wish I had an old cast iron wood burning stove! We used to use those when I was in the Boy Scouts. What a lovely aroma! I appreciate your insightful comment very much! @kelleyward: Hello and thanks for stopping by! I did not know I received the Hub of the Day until I read your comment! I have to agree with you about the many health benefits of using cast iron. Small amounts of iron are released while cooking and this is especially good for people that are anemic (like my wife!) Thanks for stopping by! Congratulation on the hub of the day! I have a brother-in-law who has a cast iron frying pan. He inherited it from his mother and it is more or less 40 years old. He does not want to miss it. Now I know why. Thanks for sharing. I do have one skillet. Never heard about the seasoning process until just now. I know mine is now 'cause I use it regularly, it's doesn't stick, and it cooks well. Congratulations on Hub of the Day, and thanks for sharing! I love cooking with cast iron, and the cast iron pans I use were passed down to me by my grandmother. I don't know how long she had them. Thank you for clarifying exactly what the seasoning process was for the pans. My grandmother did it for me after she caught me washing them in soap and water--I thought I was going to get a spanking that day. What a superb hub. Thank you. I was totally baffled when tomatoes would ruin my seasoning--now I know why. Voted up and useful/awesome. (I'm totally envious of your cast iron cookware collection--guess you don't go to the gym any more!) Would appreciate any future thoughts on (expensive) cast-iron enamelware. Thank you - now I know how to care for my big and lil skillets ... they'll be so happy! What an awesomely useful Hub! We have one skillet which was supposed to be preseasoned, but now we don't know what to do with it in terms of cleaning. 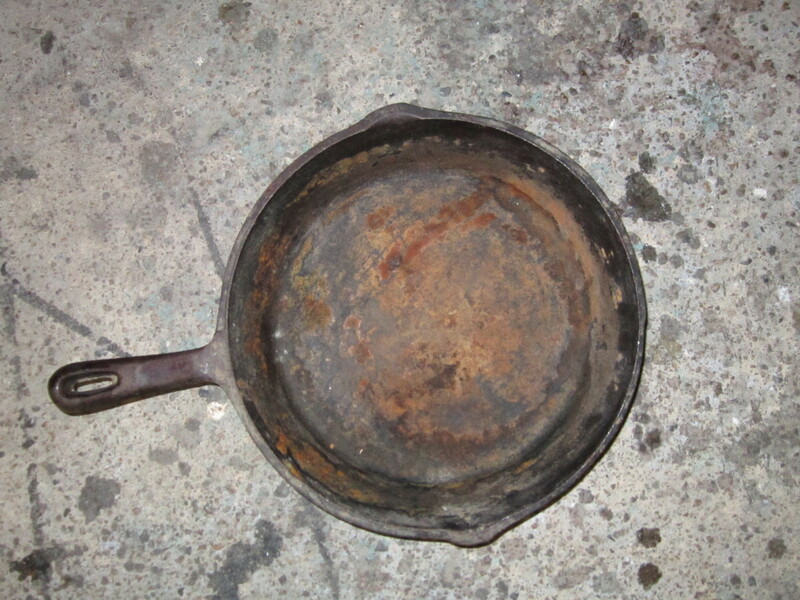 It has some light rust forming, but I think we'll just follow your seasoning instructions to restore it. Thanks! I remember this hub! Congratulations on Hub of the Day!! 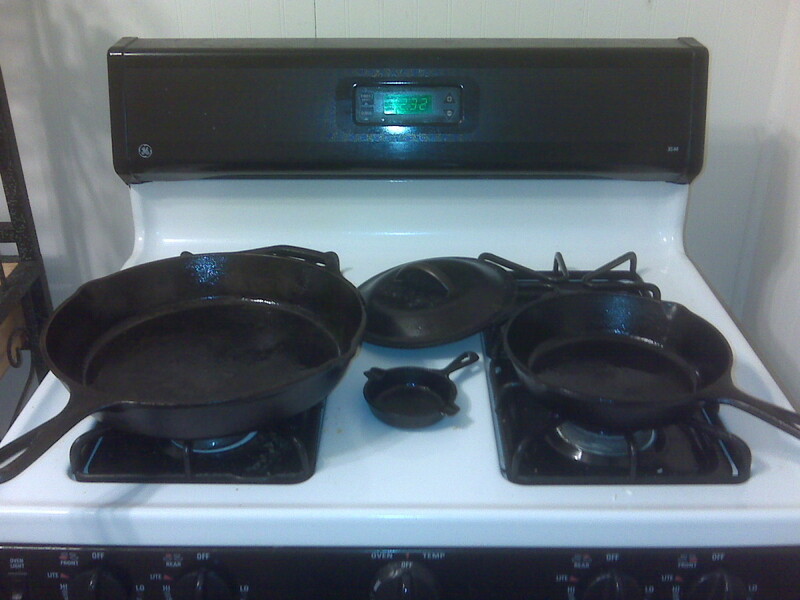 Awesome article and great information on how to clean cast iron cookware. Loved reading it. Voted up. Congratulations on Hub of he day! Wonderful! I had this discussion with my sister this past week! This hub is perfect! I have a large cast iron pan and yes a bit rusty. I think it is the best pan to use, but the smell of rust even after washing it hard makes me not pull it out from the stove compartment and use it again. Thank you for this hub. Surely my next cooking will welcome my hidden cast iron pan out into the limelight. I have enjoyed the video too! Thanks again, J.S. Matthew! I love my cast iron, I've had the same cookware for 35 years and use it every day. If you have a sandblaster that is a good tool for getting rust off cast iron you thought was beyond help. Thanks for a great hub and congrats for HOTD! A well-written hub ! I did not know so much about 'Cast Iron Cookware'. But after having read the detailed information provided by you in this hub,I have surely cancelled my plan of selling an old iron cookware owed by me. My Mom always used cast iron and I love my cast iron skillet. I have some "non stick" pans, but the cast iron works waaaayyy better! I rinse it with warm / hot water and re-oil after every use. Only once in a great while I have something stick a little (usually when I burn a sauce!). Thanks for the useful Hub and congrats on Hub of the Day! J.S. : Congratulations on your Hub of the Day! I am so impressed with your Hub and all the hard work you put into it. Love all that much-needed information! 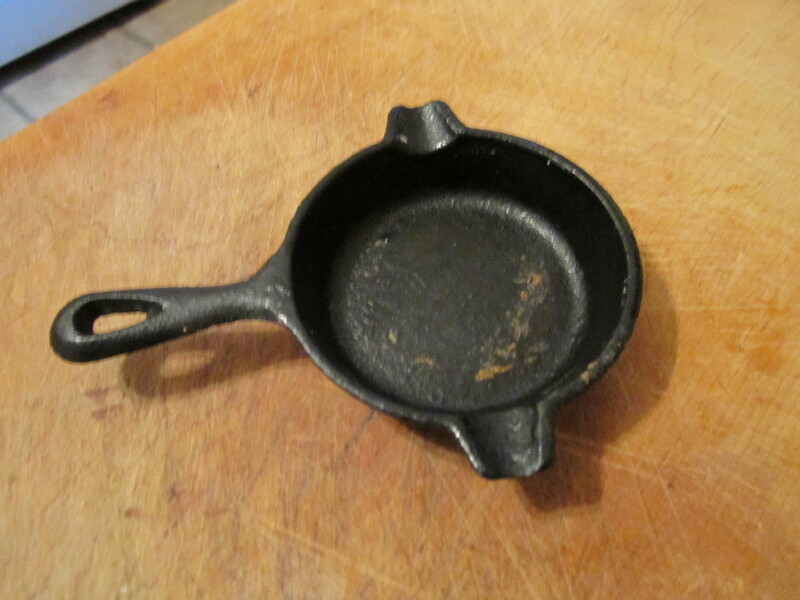 I am also telling you this because I have about three old cast iron skillets that need TLC. This includes one that I use for camping and trout (if caught). Wonderful information and how-to's. Thank you! Cast iron is part of my Sunday breakfast tradition. My wife dislikes cooking with cast iron, but she loves when I prepare a scrumptious feast on my Lodge skillet. Cooking eggs, bacon, and pancakes on the same pan lends to a terrific amalgamation of flavor. Great information here and congrats on HOTD! I feel compelled to use dish liquid to wash my cast iron. I must reseason it afterwards, but I accept that. I love cast iron even though it is heavy. 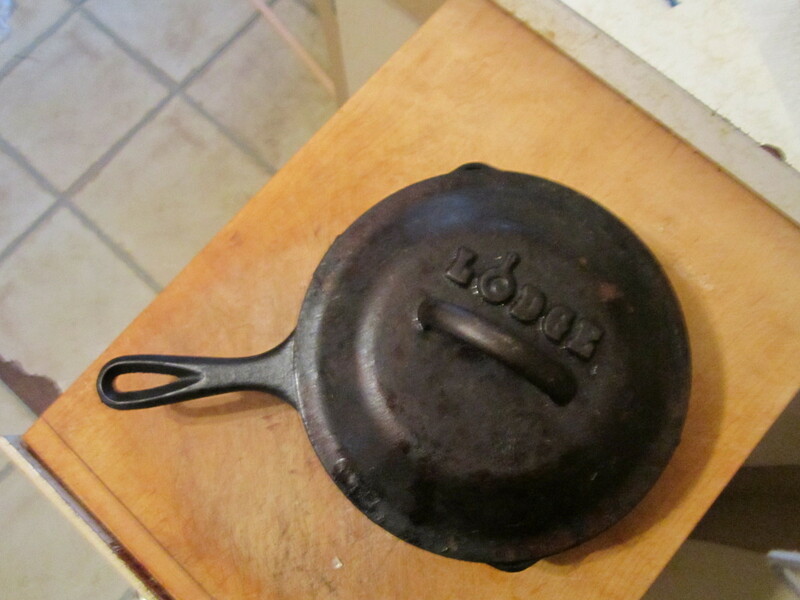 Washing cast iron, such as a camp Dutch oven, can be a big job considering all of the soot. I use gloves, dish detergent, and warm water to make the job easier, then, I must season it. I still enjoy cast iron. I plan to purchase some cast iron skillet covers. My Dutch over came with a cover. I love this article, the tips, and the ads! Thanks for sharing. I voted up, useful, and interesting. Great hub! Congratulations on your well deserved hub of the day!! This is a great guide to cast iron care. I especially like your seasoning instructions, so simple to use. Congratulations on Hub of the Day! Thanks! Voted up and useful. My Dad taught me to care for cast iron 35 years ago, and I'm still doing it. One suggestion - for us natural food folks who don't use shortening, any high-temperature flavorless oil, such as coconut oil, works great. And a question. I have a cast iron griddle, and the side with ridges can be pretty hard to clean after a long session of grilling. Any suggestions? Gotta love those castiron skillets... every time i use mine i am a little girl again waiting for my Daddy to cook up a delicius something for breakfast. He would crank up the old wood stove (he preferred that even though we had an electric stove) and soon crackling would be happening and an aroma unparalleled by any who waft through our home. thank you for sharing this and thank you for the walk down memory lane. You are welcome to link. I appreciate the kudos. Hello Becky Katz! I just read your Hub about cast iron and you provided a great historical and scientific explanation of the use and development of this time-tested tool. 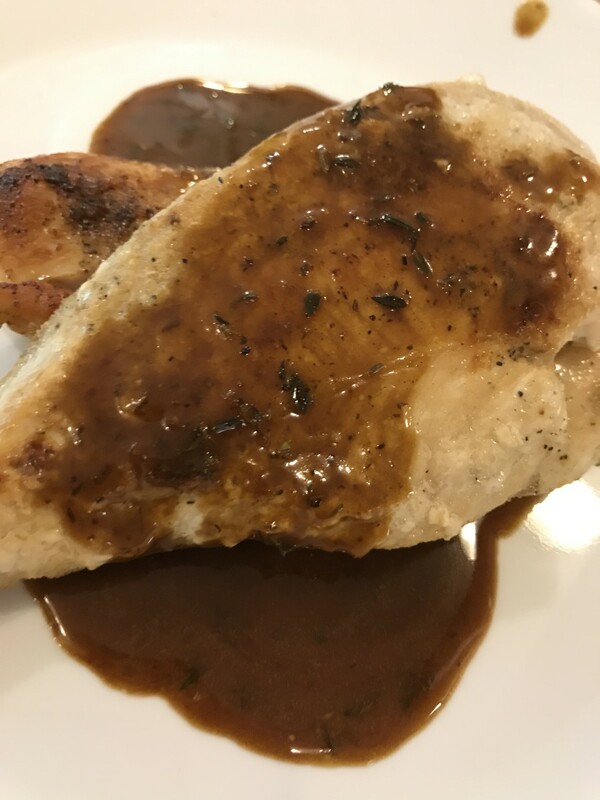 I would love to share your link here: https://hubpages.com/food/How-To-Take-Care-of-Your... Very interesting stuff! You offer some great tips as you share your experiences here. 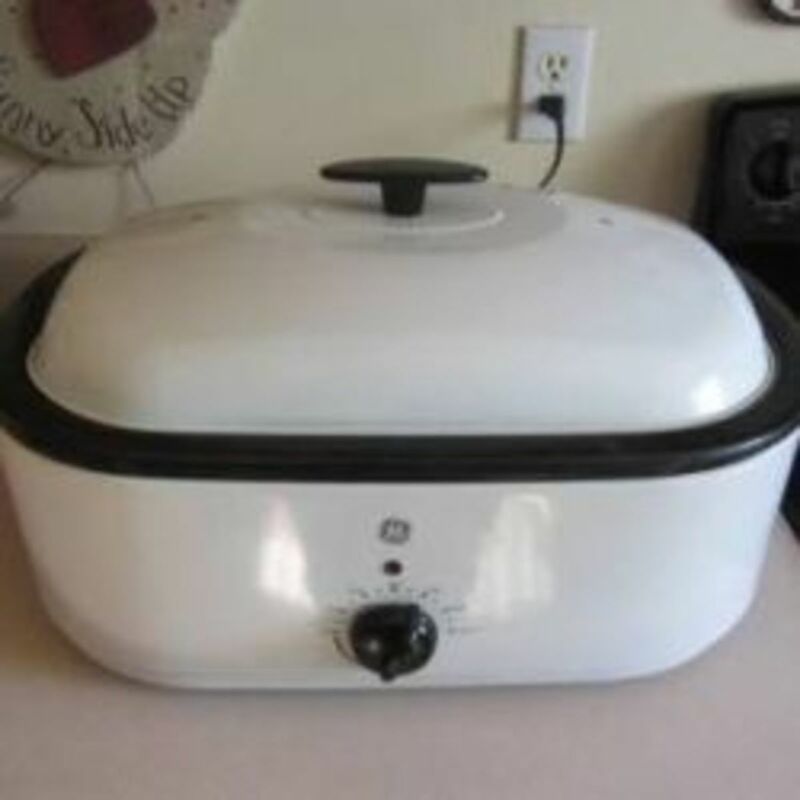 You can always "burn-off" any leftover food. You're dad has taught you well! I'll have to try tapping out the rust too. That would make re-seasoning so much faster! I appreciate your comment and I enjoyed reading your Hub! Thanks for sharing your knowledge and experience. I wrote a hub not long ago about taking care of your cast iron. I had a dutch oven that my husband cooked a ham in over a campfire. It burned in badly and he was going to throw it away. I stuck it in the fire and let the fire burn it out. My dad used to do that when I was a child. It all came out and was ready to reseason. He would throw rusty ones in there also. The next morning, pull it out and tap gently with a hammer on the bottom and all the nasty will just fall out. Hello Sharyn! Nice to see you! 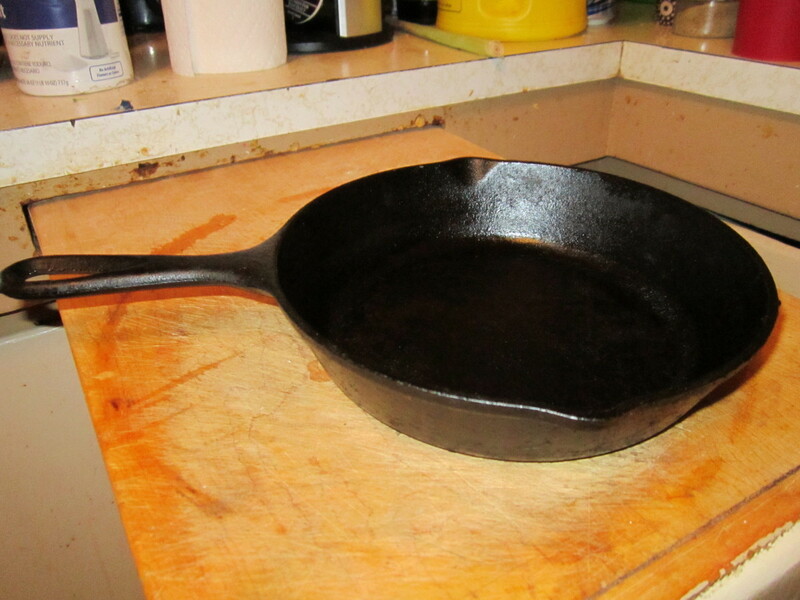 Yes, restoring rusty cast iron pans is not that hard and can be done in a few hours over the weekend. I appreciate you sharing this article with your friend and I hope it is helpful to them! Thank you very much for your comment! @wheelinallover: Hello! These pans are truly a test of time and they can take quite a beating over the years. It is funny how so many people can attach emotions to this cookware. So different then the cheap "non-stick" pans that last a year or two. I have heard of people having rusted pans sand blasted but unfortunately I don't know anyone with that machine! Thanks for leaving an insightful comment and for Sharing! @iguidenetwork: Thank you for stopping by! I love my collection and after writing this Hub I want to add to it! Cast iron pots and pans will always be my favorites. The ones my mother had were abused in every way imaginable and were still usable until the day she died. They were used on an open fire, as a bake pan, and were improperly cleaned by children for a good twenty years. My fathers well cured frying pan is hanging on a wall. It has been unused now for 7 years with no signs of rust. There is no way to count the pancakes eaten though the years cooked in it. Years ago people would bring me rusted cast iron pots and pans for sand blasting. There was enough demand I kept cooking spray in the garage to coat them. A sand blaster makes quick work of rust but bead blasters are better. Sharing this on a fan page. It is a great hub in fact your collection is great too. What an awesome comment angela p! I am happy to have brought back some happy nostalgia through this Hub! Your comment is proof of the lifetime of a well seasoned cast iron pan! Thank you for stopping by! My grandmother passed down one of her cast iron skillets to me. She told me to keep it seasoned. I had no idea what she was talking about! I could have used this hub then. The skillet ended up with a little rust on it. My mother came over one day and fixed it right up for me. This hub reminded me of my grandmother and all of her cast iron cookware. She loved to cook with it. Thanks. Hi Ardie! It's funny because I never grew up with cast iron! I just fell in love with the idea that I could take care of something and it would last longer that me! I agree that food tastes a little different and I can always tell when food is prepared on cast iron. Thank you very much for your comment! Hey JS, this is a wonderful Hub! I love cooking with my cast iron skillets. I grew up with my mom cooking in cast iron and I just think the taste and appearance is totally different. Great information :) I loved looking at your collection. Hello Victoria! Yes, I have been collecting for years now and I started when I was single. When I was young I was a Boy Scout and we used cast iron while camping and I always loved it. When I got married over 3 years ago, I "passed" my cookware collection to my wife and she was hesitant at using it at first (because it can be heavy!) but now she loves it because it is so easy to clean and maintain. I appreciate your comment and would love to hear how you make out with your pans after you re-season them! Thanks for another great comment! Wow, you have quite a collection! This is a great hub. Well laid out, great information, too. I was wondering if I could save my old cast iron skillet and dutch oven. I'm glad you answered my question here! They aren't rusted but everything sticks to them. I didn't know that treating them properly would prevent sticking. Awesome! Glad you wrote this one!